ImmediaDent and Samson Dental Partners, two licensed Medicaid and Medicare providers, are due to pay $5.1 million to settle claims of fraudulent Medicaid billings. 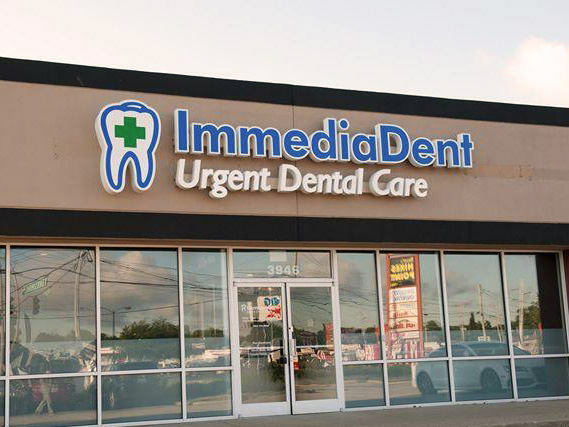 ImmediaDent is the largest dental provider to Medicaid patients in Indiana, Kentucky, and Ohio. Over 40 percent of ImmediaDent’s patients are Medicaid beneficiaries. Samson Dental Partners is a corporation founded in 2003 which operates some ImmediaDent clinics. ImmediaDent’s fraudulent scheme involved billing for services more expensive than those delivered (aka “upcoding”), fraudulent billing for tooth extractions and other surgical procedures, charging for dental hygiene operations that were either unnecessary or non-existent, subjecting patients to invasive and expensive procedures, and encouraging dental staff to work towards targets. In particular, Samson Dental Practice broke Indiana laws, which prevent companies from setting production targets and paying their staff for going over target quotas. Dr. Abdul-Majid reported how dentists would receive a $50 bonus every time the clinic reached $8,000 in billings for a 12-hour working day. Other allegations refer to how ImmediaDent would allow unlicensed professionals and non-dental staff to go beyond their administrative duties and dictate treatment protocols, such as ordering x-rays, without doctors’ approval, to maximize Medicaid billings. According to the U.S. Attorney's Office, the two companies refused to enter into a corporate integrity agreement, which requires them to take steps to ensure transparency. Therefore, they didn’t employ compliance staff or have any external organizations monitoring and reviewing the company annually. If they had entered into such an agreement, they would have had to submit performance reports to the Office of the Inspector General, and they would have been inspected. The fraud has affected a vulnerable population of Medicaid beneficiaries, including immigrants, senior patients, and children. Moreover, it particularly affected the TRICARE health care program for military personnel, to which ImmediaDent submitted bills. In direct violation of state and federal laws, these two corporations failed to comply with the regulations governing the Medicaid program, abusing thousands of patients and posing a heavy burden on taxpayers. Currently providing services to one in five Americans, and with enrollment skyrocketing across the country, it is estimated that Medicaid will cost taxpayers $118 billion by 2023. By investigating and exposing the likes of ImmediaDent, the government is sending a clear message that Medicaid fraud will not be tolerated. Under the U.S. and state False Claims Acts, whistleblowers that report healthcare fraud involving Medicaid or Medicare could be entitled to a percentage of any verdict or settlement. Report fraud today, and you might earn a multimillion-dollar reward - hundreds of whistleblowers have already received rewards.